Israel’s Defense Minister Ehud Barak had the audacity to blame the casualties who died or were injured by Israeli commandos during an armed assault on the Freedom Flotilla in the early hours of Monday morning as it attempted to bring humanitarian aid to Gaza. Even though the Israeli Defense Forces have spent a week engaged in meticulous preparations for the assault, Israeli leaders are now portraying its elite military force as hapless victims of an “ambush”! Benjamin Netanyahu is now considering the cancellation of his imminent trip to the United States. After receiving recent sycophantic overtures from the Obama administration in its effort to mend rifts with Tel Aviv, Israel’s prime minister may now decide that it is in both his and President Obama’s interests to avoid mutual embarrassment by not showing up in Washington. This particular decision will be affected by the extent to which the Israel-friendly US media attempts to minimize the flotilla massacre story. 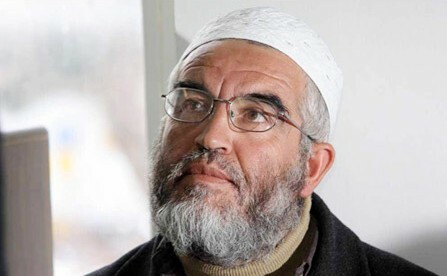 But after the Israeli government treated the flotilla’s mission as a PR challenge — in which regard Israel’s actions have been a stupendous failure — the worst fallout for the Jewish state may occur inside Israel itself if, as is rumored, the Israeli Arab leader, Raed Salah, head of the Islamic Movement’s northern branch, is among the casualties. If Salah is indeed among the casualties, the result could be a wave of riots led by Islamic Movement activists. Targeted provocations by Islamists and left-wing activists will now take on strategic significance. Under certain circumstances, and if both sides fail to take steps to calm the situation, this could even end in a third intifada, or Palestinian uprising. The Israelis have shot themselves in the foot again. Pity it wasn’t somewhere more critical.